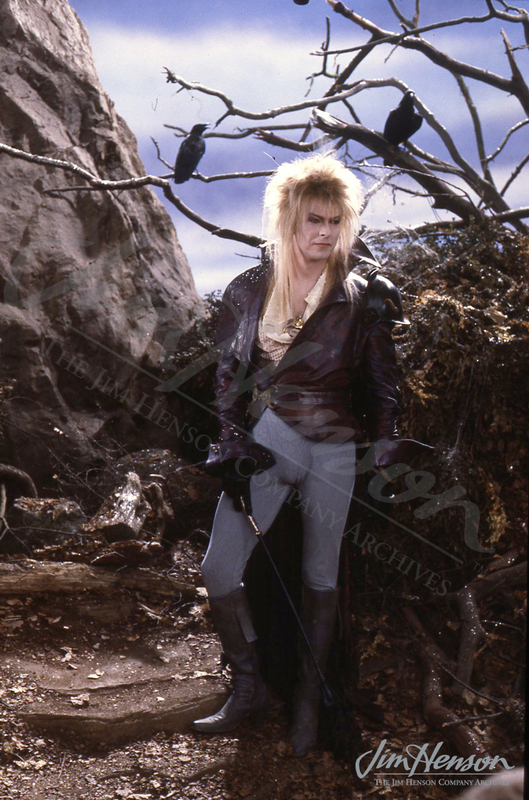 Jim’s choice of David Bowie as Jareth the Goblin King in Labyrinth reflected Bowie’s multi-talents in the areas of both music and acting. His unique look inspired Brian Froud and the film’s costume designers to create distinctive outfits for him. One of his costumes will be on exhibit starting on April 27th at the Experience Music Project Museum in Seattle as part of their Fantasy: World of Myth and Magic exhibit. See their website for more information. Learn more about Jim’s decision to cast Bowie. David Bowie in Labyrinth, 1985. This entry was posted in 02-February '85, 1985, Labyrinth and tagged Brian Froud, David Bowie, Jareth, Labyrinth. Bookmark the permalink.